This light colored warm brown Oak is native Texas and covers about a dozen different species of Oak tree. Is is a prevalent hard wood in North America and is used for just about everything including cabinetry, furniture, interior trim, flooring, and veneer. Hello. I was just wondering what the prices would be on each of the red oak sets. Also, are there any pictures if the finished product. 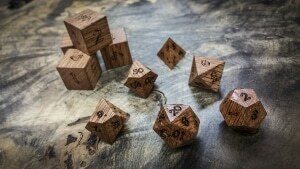 red oak will be added to the site shortly. we have a ton of updates to do this month to get all of the new woods photographed in dice for and pricing uploaded.